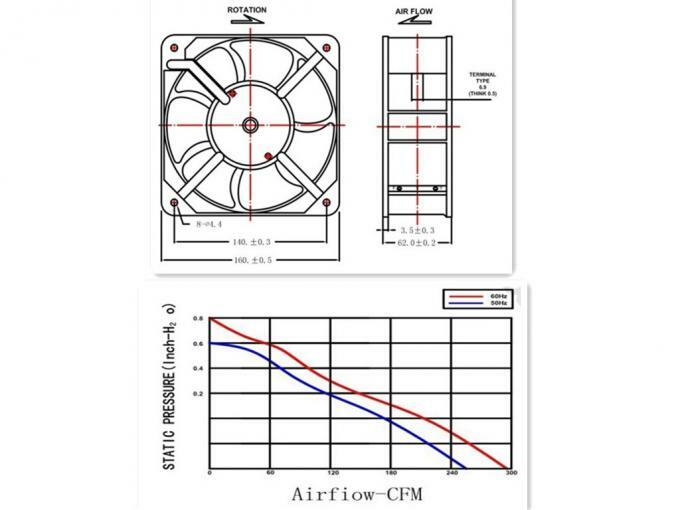 Topfan’s 160 × 160 × 62mm AC fan products are utilized by all type of machines which required heat reduction systems, such as computer information technology, network communications, as well as industrial production equipment, medical equipment, home appliances, etc. 110/120VM 220/240V AC FAN, used for cooling and ventilation. 1. 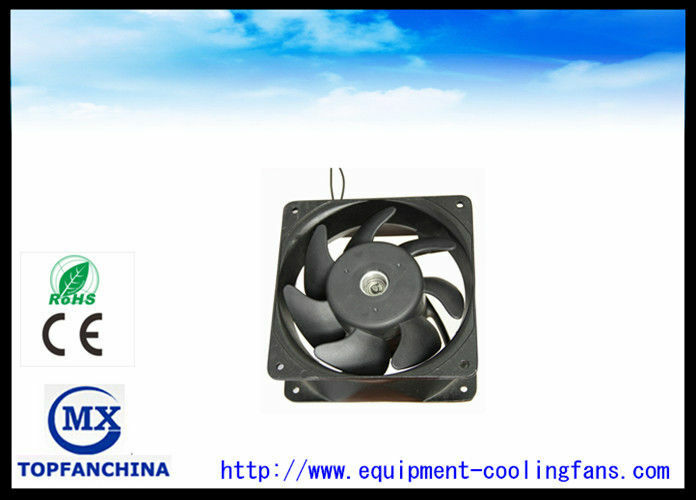 As a professional manufacturer, we specialize in Brushless DC&AC cooling fans and CPU coolers for over 10 years. 2. Our products are extensively applied to all kinds of refrigeration equipments, air conditioner, cooling and ventilation instruments. 4. OEM &ODM service are welcome. How to Select a right cooling fan? A: Where are you used? Application for what? B: What's size limitation do you have? 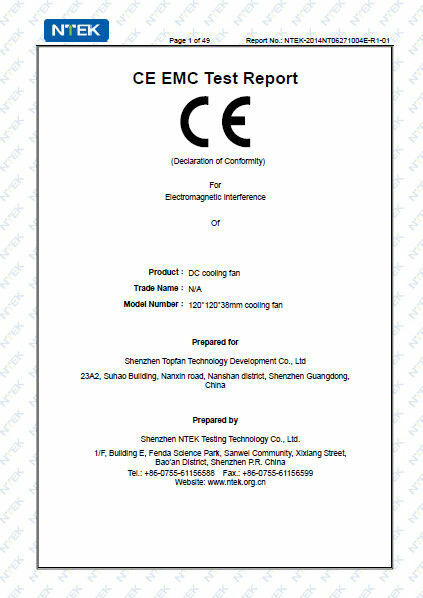 C: What's voltage do you require (5V DC,12/24V DC, 85V-125V ,190V-250V)? D: What's power or CFM airflow required? 1. What’s the advantage of ventilation fan? Advantage is nice looking, Stable quality .Our product can meet the request of CE, UL, ROSH…and it is portable. Our motor is 3 years warranty. 2. Can you do our logo or brand on the fan? Yes. 3.Can I order some samples at first to see the quality? 4.Can you deliver samples by DHL or FedEx? Yes, we can. But you could pay for express fee. 5.Can you change configuration for me? Yes. You just tell me the configuration you change. Our factory will meet your request. Generally, our payment term is FOB. If you want to do CIF or CFR, Paypal, we could calculate, and quote for you. 7.Do you have the products in stock? Yes. 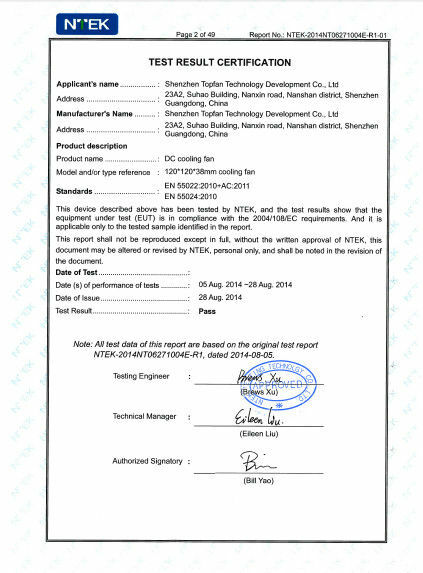 There is a sheet of our products in stock. We will update it one week. 9.How does your factory do regarding quality control? Our quality inspections will take quality control of each production process, also you can come to our factory to make the inspection the goods before shipment, till the guests are satisfied of them and make the payment, then we will make the shipment. 10.Will you deliver the right goods as ordered? How can I trust you? We will check many times before shipping. Our factory are very welcome you come to our factory for inspection and guidance.